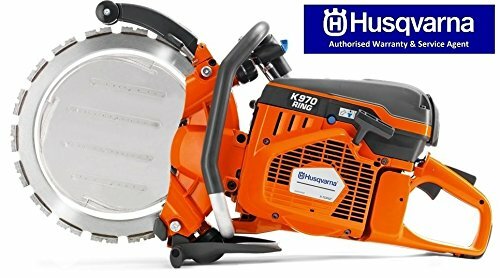 Husqvarna K970 Petrol RingSaw. Maximum cutting depth of 270mm. When you need to make deep cuts fast the K 970 Ring is the answer. It has an exceptionally cutting depth of 270 mm, twice the amount of a traditional power cutter. It has a high cutting capacity, can make deep cuts from one side and is the quickest method for small and medium-sized cuts, as no time is lost on installing rails. © 2019 Tile & Masonry Saws. All Rights Reserved.